Sian Ka’an is situated on the eastern side of the Yucatán Peninsula in the state of Quintana Roo. Where possible, boundaries were defined to coincide with natural features: the site is bounded by the Caribbean Sea and the barrier reef to a depth of 50 m in the east; by the junction between the marshes and semi-evergreen forests in the south-east; and by the junction of Chetumal and Espiritu Santo bays catchment basin in the south. The northern and north-eastern boundaries are defined by the limits of farming cooperatives. The northern sites can be reached by a dirt track from Tulum, whereas Punta Pajaros is only accessible by boat or aircraft. Sian Ka’an lies on a partially emerged coastal limestone plain which forms part of the extensive barrier reef system along the eastern coast of Central America. Much of the reserve lies in a zone of recent Pleistocene origin which still appears to be in a transitional stage. A large series of sinkholes (cenotes) exist in the area and are characteristic features of the Yucatán and Florida peninsulas. The hydrological cycle is complex and the water table is permanently close to the surface. There is little surface running water within the reserve as it usually filters fairly rapidly through the shallow rendzina and saskab (granular whitish and brittle limestone) soils, and the limestone rock to subterranean channels. Owing to their hardness the waters in the reserve are generally very clear. A geological fault crosses the reserve from south-west to north-east, influencing its topography and hydrology. In general, soils are unsuitable for agriculture. Most people who travel to the Riviera Maya region of Mexico probably go to visit is famous beaches or Mayan ruins. 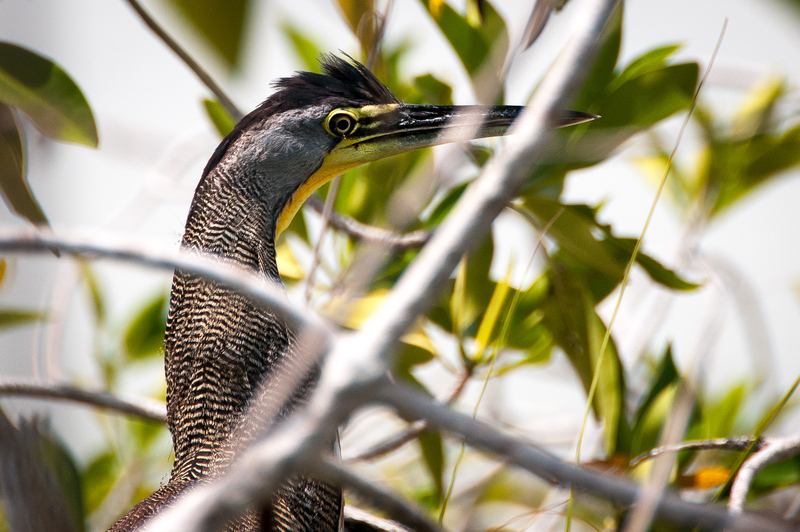 They are probably unaware of the ecological treasure located nearby in Sian Ka’an Biosphere Reserve. My day in Sian Ka’an was spent cruising through mangrove swamps in an outboard boat, photographing birds and exploring old Mayan structures. If you should visit Tulum, Playa del Carmen or even Cancun I’d strongly suggest taking a trip away from the tourist hotspots for half a day and visit Sian Ka’an. Its a unique place to explore a mangrove ecosystem and it will give you a chance to see what the region looked like before the arrival of Europeans. 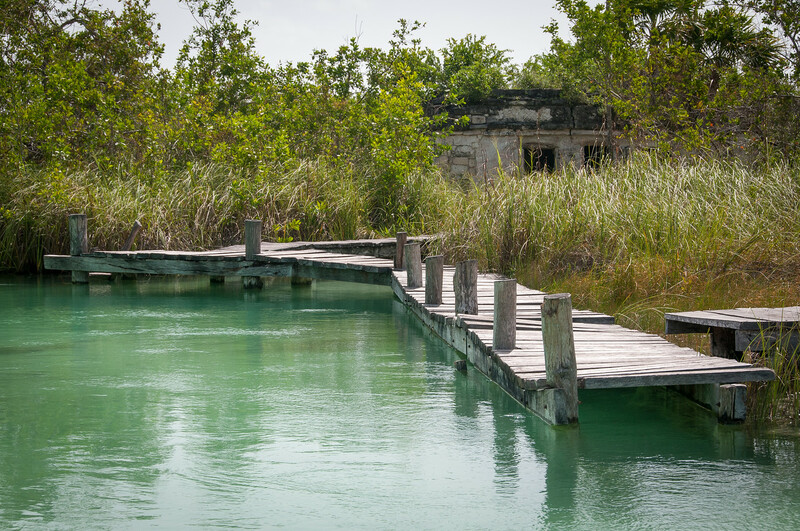 Sian Ka’an is a natural UNESCO World Heritage Site in Mexico that was inscribed in 1987. 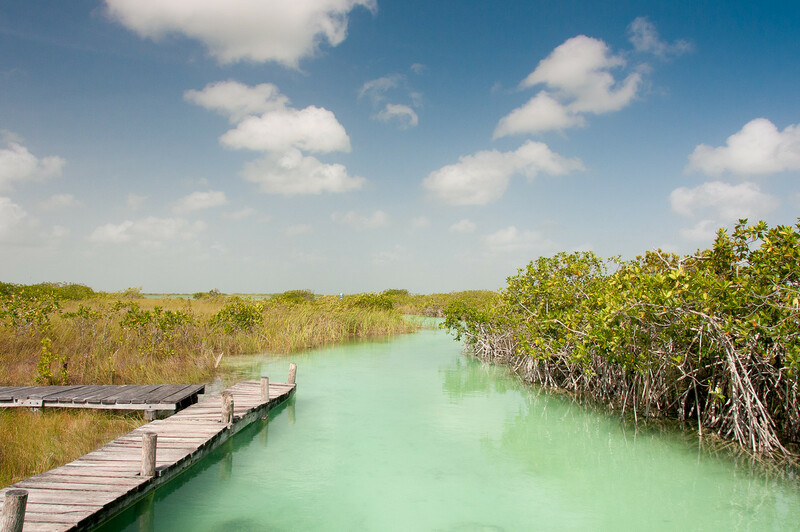 Prior to being named as a natural UNESCO World Heritage Site, Sian Ka’an is already a biosphere reserve. It belongs to the Tulum municipality in Quintana Roo, Mexico. The site itself was established in 1986, which means that it earned Mexico the nod from UNESCO only a year after its establishment. Sian Ka’an is famous as a tourist destination because of its sublime natural beauty. In fact, many would go as far as to claim that this is the most impressive part of the Yucatan Peninsula in terms of natural beauty and resources. It is the second most visited attraction next to the Mayan ruins in Mexico. The protected area that belongs to the UNESCO site of Sian Ka’an is estimated to be about 780,000 acres in land area. A part of this protected area consists of land area while some parts belong to the Caribbean Sea, specifically the coral reef system that belongs to the area encompassed by Sian Ka’an. In addition to this, there are also 23 archaeological sites linked to the Mayan civilization that is also included within the protected area. 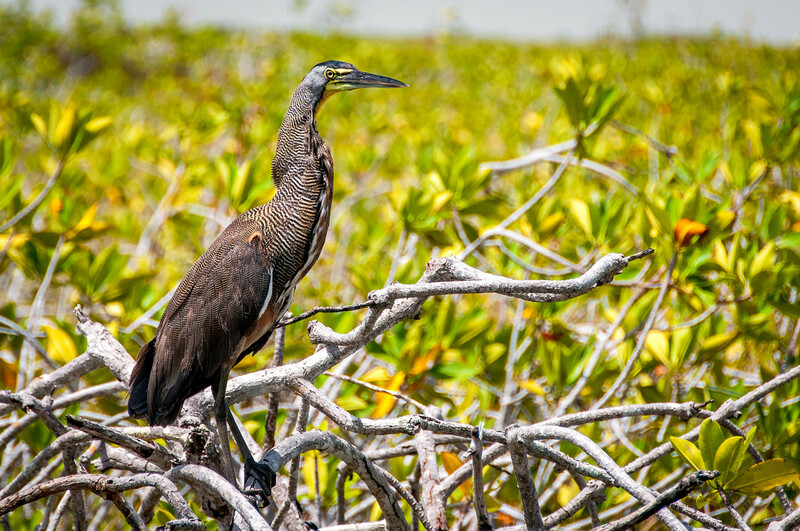 Today, it remains as the largest protected area within the Mexican Caribbean. Since Sian Ka’an was named into the UNESCO list in Mexico, there have been strong efforts to preserve it. To be specific, scientists, students, rural promoters, and international partners have worked to push over 200 conservation projects in the use of natural resources in the area. There are also environmental policies put in place to improve sustainability and to ensure that the resources available in the area will last for many more years to come. There are several companies operating eco tours in the protected area. These are closely monitored by the authorities to ensure that the policies are not violated and that the resources are not depleted in the process. As one of the most spectacular and ecologically diverse spots in the world, UNESCO and the local authorities that manage the protected site want to keep it that way.